One of the requirements for all our customers is that operational staff are trained and competent in the use of our products. As a consequence, we provide training free of charge, at our facilities in Leicester or Glasgow. For more information on the courses available please contact us on +44 (0)203 4091779 Option 5 or download the prospectus here. 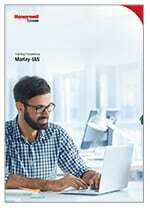 Fully-trained customers can also use the Morley Professional website as a resource for software updates, frequently asked questions and other technical information. You will need to register for a login to access this resource which will involve checking your training status before assigning a login.